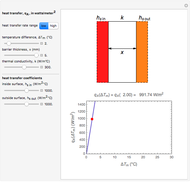 This Demonstration calculates and plots the heat flow, (in watts/ ), through a heat exchanger's wall of a chosen thickness, (in mm), and thermal conductivity, (in watts/m °C), with chosen surface heat transfer coefficients at either side of the wall, and (in watts/ °C), and logarithmic mean temperature difference, Δ (in °C), between them. 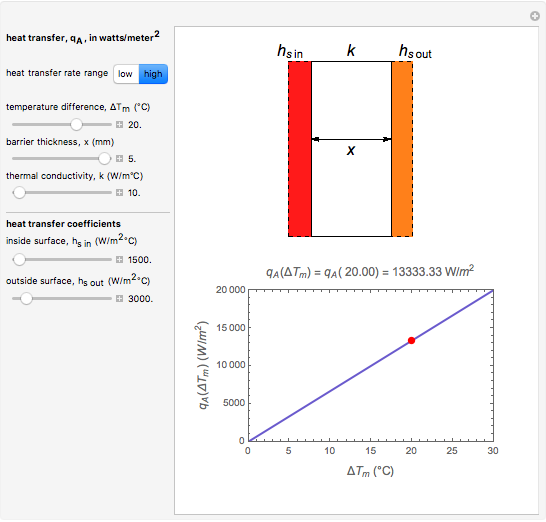 Since the heat transfer coefficients can vary over a very large range, the and parameters can be specified as being high or low using a setter bar. 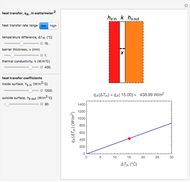 The calculations are done using the equation , whose parameters can be modified by moving sliders. 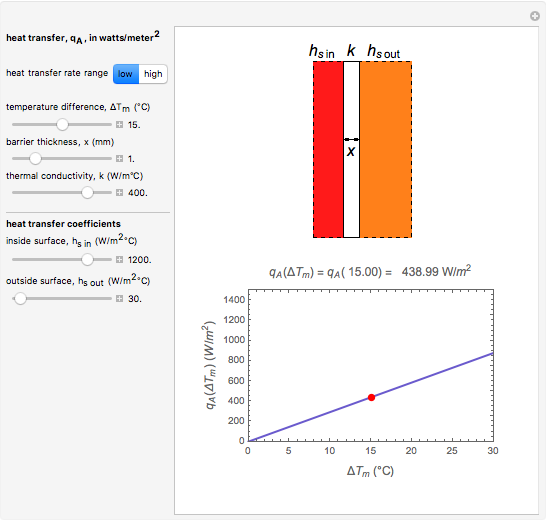 The red dot on the plot marks the heat flow per unit area for a Δ chosen by moving the top slider. 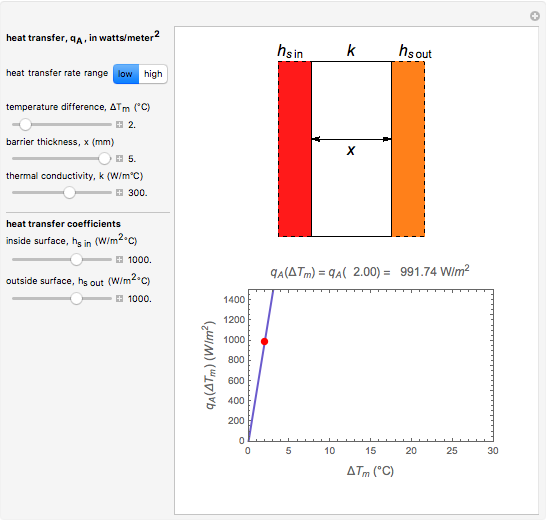 The top graphic depicts the heat resistances as a schematic diagram (not to scale). 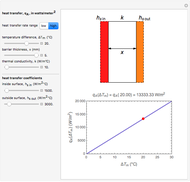 Micha Peleg "Heat Transfer in a Heat Exchanger"